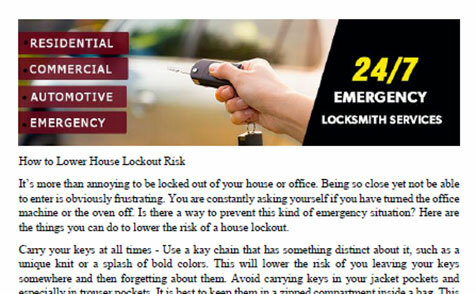 “Locksmith Tomball” has been repairing locks and replacing keys for years. The experience of our team is ensured, but this is not the only asset of our professionals. With locks and keyless security systems developing and changing rapidly in Texas, our progress never stops either. 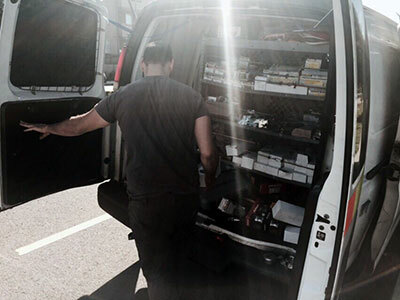 The professionals of our company are able to help all customers with their key and lock repair needs simply because they have the skills and the right training. Our knowledge is the cornerstone of our effectiveness and one thing you can surely rely on when you need information, services and a helping hand. Are you locked out of your car? Are you under the impression that the house key will break if you put more force but the door doesn't open? Was someone dismissed from your company and need office lock rekey? Never hesitate to contact us! 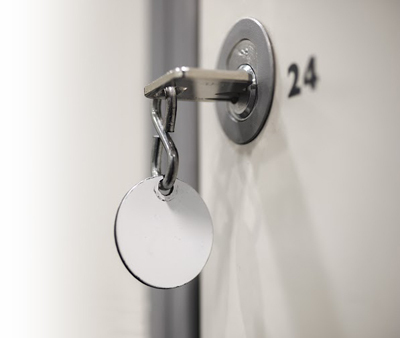 Our company offers 24 hour emergency locksmith services, but it's also here to offer a professional opinion about ways you can increase security. If you are not sure about your lock choices or want to learn more about the latest systems on the market, all you have to do is to contact our Locksmith business in Tomball. With a courteous staff and plenty of knowledge, every single member of our personnel can help you take decisions and improve your security. After all, increasing our customers' security is the ultimate goal of our company. That's why we are all here and ready to listen to your requests and provide the services you need. As for our services, you can have peace of mind! When it comes to keys and locks, safes and security systems, our professionals are experts in all related services. Need residential lock change? Want to replace the locks of your car or make a duplicate of the vehicle key? There is nothing surprising about us moving around with full equipment in our trucks. Actually, we think it's essential to have everything organized and absolute knowledge of how to operate this special machinery, which allows us to make new keys fast and take care of sophisticated systems efficiently. 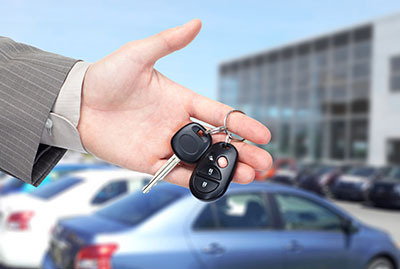 Customers can trust us for the replacement of their lost car key and the programming of chip keys or other high tech security systems. Our professionals specialize in the installation of all digital door locks and can also inform you about the newest ones. Apart from replacing and installing locks for doors and windows, our technicians can also install safes, repair door closers, extract broken keys and replace locks of all types of cabinets. We certainly provide emergency services and will be at your home and office every time there is a problem with the keys or the locks. Trust our company for such needs and don't forget that our mobile team also offers auto lockout service 24/7! Our business is local, mobile and ready to assist you! 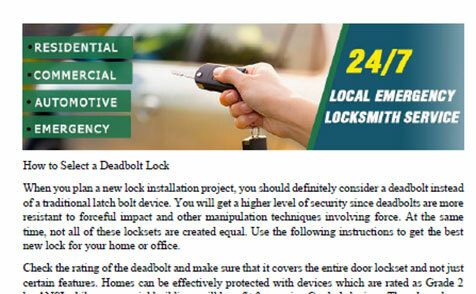 Let our locksmith company in Texas service your home, office and car locks and keys. We are experts in installing, fixing and rekeying locksets of all types and brands. Our services are available in the entire area with zip code 77377. 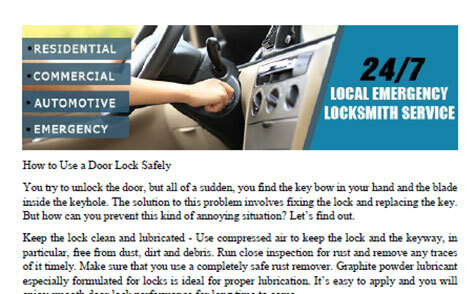 Our new locksmith manual contains plenty of new and valuable information. Click here for the details.